Footage from Hugh Hannah's helmet camera was used to convict his friend Murray Crossan of dangerous driving. A motorcyclist has been banned from the road for dangerous driving, thanks to evidence from the helmet camera of a friend killed in the accident that led to his prosecution. 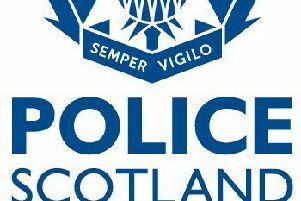 Hugh Hannah, 34, of Dumfries, died in a crash on the A701 near Moffat on Sunday, May 13, after his bike collided with a Mini. Police investigating the accident viewed film footage from Mr Hannah’s camera and noticed that Murray Crossan, the lead motorcyclist among a group of friends, was travelling at an average speed of 68mph on a stretch of the Edinburgh-Dumfries road subject to a 60mph limit and he sped up to 98mph for the final half a mile before the fatal crash. The 30-year-old, also from Dumfries, pleaded guilty at Selkirk Sheriff Court to dangerous driving and was banned from the road for a year and fined £450. His lawyer said: “This is a case of a prosecution from beyond the grave. “The man who lost his life was wearing a camera on his helmet and he kept glancing at his speedometer, and Mr Crossan was the lead motorcyclist. The court heard that Crossan had not been on his motorcycle since the accident apart from taking his friend’s fiancee to the accident scene to lay flowers.